The water quality in large parts of the country has clearly improved over the last few years, but the improvement is stagnating. This is why the Water Quality Knowledge Impulse has been launched today. In this research programme the national government, provinces, Water Authorities, water utilities, and the knowledge institutes Deltares, KWR, WUR and RIVM, will work on gaining more insight into the quality of ground- and surface water and into factors that impact this quality – such as nutrients, plant protection products, pharmaceutical residues and other yet unknown chemical substances. Although the launch is now a fact, there is still a need to broaden the funding to ensure that the entire programme can be realised according to plan. This will be worked on in the coming period. KWR leads the ‘Chain Explorer’ and the ‘Knowledge Valorisation’ projects. The Chain Explorer project involves research into those substance groups that still offer opportunities for emission reductions through a chain approach. In the Knowledge Valorisation project we will be coordinating the exchange, use and storage of the results of the Knowledge Impulse’s projects. In addition, KWR researchers will work on projects about behavioural change, nutrient loading, mixture toxicity and groundwater quality. 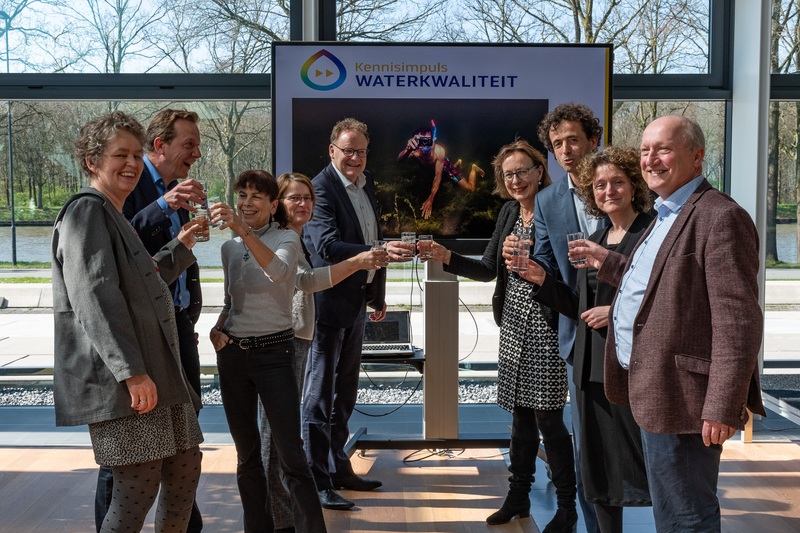 Het bericht Water Quality Knowledge Impulse launched verscheen eerst op KWR.